Our Team Coaches Ray and David are here to help! Coach Ray has extensive wrestling experience as both a high level competitor and a coach. Both Ray and David are purple belts in our Gracie Jiu-jitsu training program located in Manchester NH. 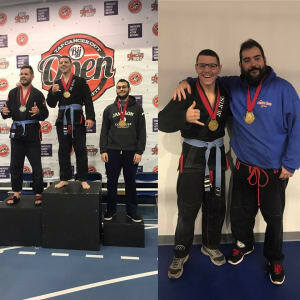 Join our Gracie Jiu-jitsu competition team on Saturday mornings at 9am and let our coaches help prepare you to win and have fun!